Inspired by You! It's apparent that a lot of us can use a little extra support, encouragement, and reminders of just how fabulous we are! Listen in as Kim, The Coloring Book Coach, reminds you of just that! 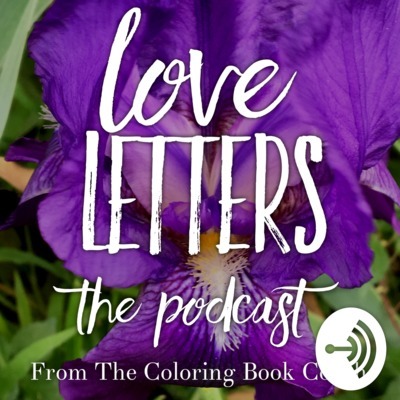 Each podcast features short inspirational vignettes filled with support, encouragement, surprises, tips, and lots of love from The Coloring Book Coach. 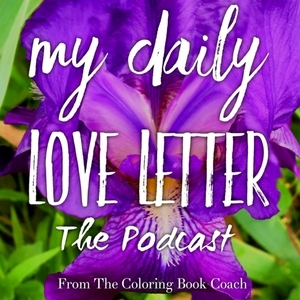 Enjoy a week's worth of Love Letters from The Coloring Book Coach. Be inspired, feel supported and encouraged and maybe see things in a whole new way! They say bees are busy, but are they really? Listen in to find out. Impossible Is Only An Opinion! Really! You can do it! It's time to really believe in yourself. What Grand and Glorious Adventures Will You Have Today? Approach life with a spirit of adventure and see what happens. Be kind to yourself, you truly are doing your best! Just a little reminder that there's not better time than now to take control of your life. Don't worry if you're in the midst of a course correction! You're doing the best you can at any given time! You've got this! Not caring what others think about you is the best choice you could ever make! Are you earning for an adventure, cutie? You're going to want to hear this great advice that's just for you today! The Coloring Book Coach has a challenge for you! What if there was something right...? You know what's beautiful? Read that first word again. Life if beautiful... what is the point of dragging up painful things from the past? Don't dwell on the bad thoughts of the past. How much better can it get? Ask this question and see what happens. When you truly don't care what someone thinks of you... you've reached a dangerously high level of freedom. The Coloring Book Coach has a challenge for you today. Whatever Shows Up... Love It. May your day be filled with miracles. Look for the Magic Moments! Just for today, my life will be a celebration. Happiness is a choice. Are you choosing it? You - as much as anyone on the planet - deserve for your dreams to come true. What infinite possibilities are waiting for you? What are the infinite possibilities for something different to show up in my life?